5,591 animals found new homes through PAWS in 2018 through our state-of-the-art No Kill Adoption Centers in Lincoln Park and Highland Park as well as our innovative off-site adoption events in high-traffic locations around Chicagoland. In 2019, we reached 60,000 adoptions since our founding! We performed 16,750 spay/neuter surgeries in 2018. Our spay/neuter program has reduced the unwanted pet population by hundreds of thousands of animals. 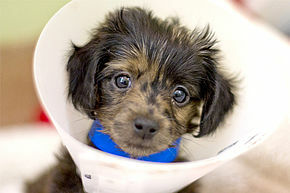 These surgeries are low-cost for pets of families who cannot otherwise afford the procedure. We perform surgeries both at the Lurie Clinic and on the mobile GusMobile which allows us to reach the areas struggling most with the issue of homeless pets. We have spayed or neutered more than 246,000 pets since we started. We saved 98.12% of animals entering our program in 2018. Euthanasia is reserved only for pets when medical treatment cannot alleviate suffering or for dangerous dogs who pose a threat to the public. We treated thousands of sick and injured pets at our Medical Center. 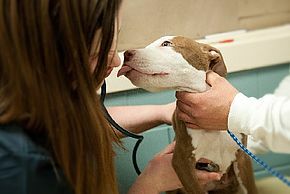 At PAWS Chicago, pets with ringworm, parvovirus, FIV and other virulent diseases and lifelong conditions are treated with state-of-the-art veterinary care and protocols—each of these diseases would be a death sentence in traditional shelters. Between 1997 and 2017, the euthanasia rate for the city of Chicago has been reduced by 87 percent. In 2018, volunteers worked 143,933 hours for PAWS, the equivalent of 69 full-time employees. By utilizing volunteers in every aspect of the organization, we are able to do more with our resources and provide the highest quality care to our animals. Dedicated foster families took in 3,325 PAWS Chicago pets in 2018 alone, providing them with love and the comfort of home while they were treated to be ready for adoption. We’re teaching communities and children about how to care for animals, providing resources and information. We’re working with legislators to raise the standards of care and transparency in animal sheltering, and to require that shelters provide accurate statistics of the probability of a pet’s survival. We’ve sponsored legislation to eliminate inhumane and outdated care in shelters, including eliminating the gas chamber and mandatory training for euthanasia technicians in Illinois shelters. Building a global resource for shelters and individuals wanting to learn about live saving strategies and best practices. Charity Navigator, the nation’s largest independent evaluator, ranks PAWS Chicago in the top 1 percent of charities in the nation. They’ve rated PAWS Chicago at its highest 4-star rating for 16 consecutive years. Less than one percent of nonprofits have received such consistent recognition. 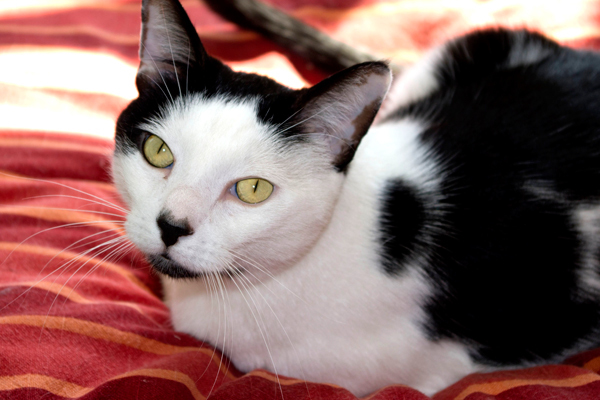 They also have recognized PAWS Chicago as the highest-rated Animal Rights, Welfare and Services charity in the nation. Guidestar, the world’s largest source of nonprofit information, recently awarded PAWS Chicago its highest level of recognition - The Platinum Seal of Transparency. The Platinum Seal recognizes our continued commitment to full public accountability for our work. By sharing mission-focused metrics, we give our supporters meaningful data to independently evaluate our performance and results. Find out what supports our foundation of community engagement.